Sometime back when we first moved to UK and into this home where we’re now staying I was happy as well as sad, elated as well as a little depressed, joyous as well as sorrowful. It was truly a bag of mixed feelings as the move was definitely for the better, but I hated leaving everything familiar behind and starting life in a foreign land. We have been married fourteen years now and have moved several times to different cities but it was always within India. So wherever we went, my collection of plants and whatever pet(s) I happened to have at that time also moved. The best memory was my forty little guppy babies and the mother and father fishes arriving safely from Pondicherry at Bangalore, in a huge red bucket along with the rest of our stuff. Wherever we went our potted plants went too. I had a lovely collection of about 35 pots that had travelled with me all over India. I am fond of plants and especially my indoor plants which I love to have in the living room. But when we moved to UK, there was no way my plants would survive four weeks in a ship. Neither would the fishes. Sadly I had to give them away. When I arrived I was dismayed to see the ‘garden’ here. It was a little patch of land overgrown with weeds and really run down and looking miserable. The previous occupants obviously did not have gardening as their priorities. In India, I have always had gardeners to do my garden for me. Here in UK, it was different. Hiring gardeners are forbiddingly expensive and most people do it themselves.For the first time in my life, I was faced with this huge challenge of transforming a weary, neglected run down patch into something habitable. I have never ever done gardening before. I read up books about it, and asked people for advice. Then began the hard work. It was really cold when I first arrived here. The temperatures were about 4- 6 degrees and there was strong cold wind blowing. The moment I stepped out, It was like someone slapping me hard on the face and in the beginning I could hardly bear it. But I did want a garden; I so missed the one I had in India. I was determined to have it, no matter how much hard work it involved. First, I had to eliminate the weeds. There were more weeds than the lawn or the plants. Painfully one by one I sat uprooting each one. It was hard to squat and muscles in my body that I did not even know existed made their presence felt as I struggled with the muscles as well as the weeds. Then there were stones—hundreds of them. Again I had to pick out each one individually. Collectively they made a large sack. I actually had grown f lowers! (These are pictures of my garden clicked today) I couldn’t believe it. I quite like my garden now. There is still a lot more to do, but at least the flowers make me smile. It made me think how true it is of life too. There are situations which we go through which test us initially and then make us bloom like the flowers. It helps to keep smiling throughout. Smiling has been scientifically proven to lower blood pressure, increase immunity and a feeling of positivity. The health benefits of smiling are tremendous. People who smile more often have more friends and are perceived as leaders. A smile costs nothing and it truly enriches the giver and the receiver and spreads warmth. I shall update this post with names of four people who will get the cards on Friday 2.30.pm, IST (10.00.am, my time). You can't help but instantly like Shachi. She is an engineer by profession who is currently living in the U.S. She is warm, compassionate, honest, kind and very likeable! But that is not the reason why I picked her comment. Read what she wrote in my comment box and I am sure you will be moved. Rohan describes himself as a twenty something wannabe adman who is keenly observant, highly forgetful (and you would be forgiven for thinking they were contradictory) and many more things that made me smile. His comment about the joy and the surprise that he got gave me a high as soon as I read it and it still brings a fuzzy warm feeling when I think of it. She lives in Gurgaon, got married recently (sorry to disappoint the single guys--she is very cute!) :-) and writes in a way that makes me smile, giggle and relate to what she has said so well. Her comment about 'transfer' of her dad's gift which inadvertently caused a lifelong love of reading struck me as perkily delightful--just like her! Please send me your postal addresses so that I can mail you the cards. What had been really heartening is that many of you have written to me, saying cards or no cards, it is my posts you look forward to! That is so lovely to hear! Thank you! So please tell me--cards or no cards? Based on your responses I shall decide whether to make more or trash the idea. Secondly there is one such person who makes me bloom every day, hour, second and minute of my life. I never believed in soul mates before we had Purvi. However tired I am at night, when she comes and chatters and gives me a hug, it fills me with a joy and a tenderness and brings a smile to my face which is better than any flower. I cannot explain it but there is some bonding that is unknown here and could be a father daughter one or what Dr Brian Weiss calls soulmates but it is no doubt there. And that does not mean I love Atul or you any less. Guess she is also small right now which could be the reason I pamper her even more and let her wind me up her little finger. Let me stop before I write a thesis. ps - i am first today. 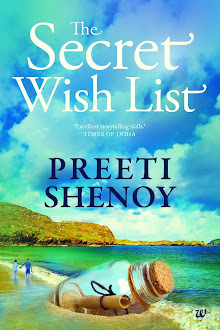 Lovely post Preeti. You were unlucky to inherit a run down garden. Usually the Brits consider gardens and dogs on par with people !! Blooming moment - Cricket match in the UK. My village was playing a vastly superior team. Lovely summer's day, beautiful ground, lush green outfield, church bells ringing - you can picture the scene. I had a cracking day as a keeper. We started to chase 320 or so and everybody played above themselves. Won with two balls to spare as the shadows lengthened. Living the win at the pub till late, with a big smile on everybody's faces. I realised how much better a collective smile is than an individual one. loved this post as well as the last one. so understand about moving...i'm in the same boat now. and the garden! what a sense of satisfaction and joy you must have got on seeing the first bloom. I just loved Ramesh's comment about how a collective smile is better than an individual one. A roomful of blooms! Lovely!! Keep Smiling incident: Well, i have had many friends, or classmates(all classmates are friends) but when we switch schools or colleges or even divisions there are very few who remain close to us. When i was studying in my 4th std, i had a few people who i were pretty close to..i mean i spend most of my time with them, play around and sit in classes with some of them. But as we grew we kept drifting apart and were just little specs of memories in our bedazzled mind.. As time went on, we sometimes met each other, but there was 1 person who i never met after 4th std, its was like 10 years after 4th and i was doing my Engg. I had just gotten into the ORKUT and was not much aware of all its functionalities..on a fine afternoon when i log into my page i find a new scrap.. I just checked it out and there was a scrap from my old friend asking whether i remembered her? It was the same girl i hoped to meet whenever i switched schools, when i went to a new school for doing my +2, i hoped that i will meet her, when i joined Engg i again hoped tht i would meet her. But i never did , i had almost given up hope but on that fine day i got her scrap, i have not met her till now, but we are friends again and we have a good time chatting every now and then. Friends are for me one of the most important aspect of my life and meeting a friend i thought i would never meet again. Thanks to orkut it was not so.. There is this one quote my friend once sent me, "Life is lived forward but can be understood only looking backwards." When i look back at certain incidents that i was so embarassed with, brings a smile on my face..Maybe thats just life, i will share that incident with you for sure..but not now... Maybe i will save it for your next post or put it in my blog and mail you about it..hope you liked my lil incident.. When I got engaged, my sis in law was 8 months pregnant. Very soon we both got very attached just like best friends. We used to talk daily at night after finishing all chores for the day. One day at 8 pm I got call from Mom saying that didi delivered a healthy boy. Later on I got to know that the previous day while we were talking, she said she need to visit loo and said we will talk tomorrow. After 15 minutes of that she was rushed to hospital. It seems so normal, but I don’t know why I still smile seeing her baby. I feel that I was there with him. He is just 2.5 year old and so fond of me that he calls only me as “Mami”..rest all he either calls aunty or doesn’t speak to them much. We have forced him so much but he never responds to this point. Many a times didi will call and say that he is dancing all around the house shouting Biittuu Mami… That’s all so weird we have just met twice or thrice and he being so attached. His innocence makes all laugh and amusing at the same time. Congratulations Preeti for such a lovely garden. I am also very fond of indoor plants. I especially want to keep a variety of Bonsai and crotons in my lobby. That garden looks lovely worth all ur trouble I guess. I felt the same way when I had leave my fishes and plants when I came to singapore. Lovely garden....I can totally relate to your happiness...coz it gives me immense joy too!! Cards or no cards..the post made me smile..i hae been working round the clock for past 4 days now. saturday sunday included. And even after so much hard work, success depends largely on an event. So even though i know that what i am working on may be worth or not..all i can do is just smile :) and keep working. Might be a bit long one. There are 2 happenings, which I would like to share. 6 years back, around 7.30am, I was driving my bike to meet a friend. I was driving probably in 30's as it was a narrow road without any medians. Much ahead of me, a bus had stopped on the opposite direction and a lorry was coming closely behind it and was just about to stop behind it. Anyway, my 'lane' was empty ahead and I just drove on. A fraction of second later, the lorry swerved fast and came up on the side of the bus and hurtled towards me. I knew I was going to get hit as the road was a narrow one and I had very less time to react. I just tried to minimise the area of impact and hit on one corner of the bumper and lost balance and fell on one side. My head hit the road, but the impact was absorbed by the helmet I was wearing and slid for a couple of metres. When I tried to get up, it was paining a bit on my left side and when I saw my left arm, I saw it was bleeding heavily. A crowd gathered around me. One of them tried to pull my helmet away, but the buckle held fast and literally he was trying to wring my neck out. I said about the buckle and the helmet was removed safely. Then somebody was talking about calling the police(the lorry had sped off). I was feeling a little bit dizzy and asked about my bike. Someone said that it is safe(except the front wheel which got bent in half, which I realised later). A kind shop keeper gave me a mug of water to drink, and I had a sip of it(actually, an accident victim is not supposed to drink water immediately, as it could also be contaminated). I said I wanted to call home, and he was kind enough to use his shop telephone and I conveyed home the news that I met with an accident and was heading towards hospital. The shop keeper also moved the bike in front of his shop. Then a person came forward and said to go to hospital. I was losing blood fast from my left hand. I cannot even remember him. Even now I can only recollect that he wore a faded grey pant, a equally faded old shirt with hawaii slippers. He got an autorickshaw and he held my hand and asked me whether I had a kerchief. He then pulled it out and wrapped around my left arm and held it upright to reduce the blood flow. We tried visiting several hospitals, but they were reluctant to take me in, as they feared a police case, and I just pleaded them to just give me atleast a first aid. Only in one Hosptial, they gave me some cotton. Then we again went in the same autorickshaw to Suriya Hospital. The person was with me, right through out and I was taken to the emergency. There a kind doctor came up and wiped the blood away and applied some cream. I asked him whether I got fractured. Actually my little finger was twisted and broke at several places blood was still flowing. Soon my parents came after visiting each of the hospital which I earlier visited. In each hospital, I gave a general description of my parents and said to them the next hospital I was going.. My dad saw me and controlled his emotions and said to me, nothing to worry. I pointed out the person who was with me all through. Then I was wheeled inside for an emergency operation. After the operation, I came to know that I fractured my fingers at many places and a steel piece was inserted in place of the knuckle of my left ring finger. My dad tried to offer that person some money. But it seems that he did not accept that. My dad then took him to a tea shop and bought him a glass of milk, as he did not want anything else. My dad found his name was Joshua and was a painter. It is a pity that I have not got any other details about him. I still feel bad about it. Two things which has made me still alive and comment on your blog is, first Joshua, who helped me without thinking of any gains and second the helmet, otherwise, my skull would have broken. Still I cannot even recollect his face except a memory of his dress. Its a pity. Its a pity. A ‘smile’ comes to my face, whenever I think about his selfless nature with a sense of gratitude. thats a nice little garden you have got out there...i was initially curious how the people in west were quite interested in gardening and most homes considered it important to have one...this made most towns and cities have a lovely landscape of its own!! b) haha at Satish's comment. "Transferred to Meira. With love, V"
The one person who for sometime has been making me bloom is my younger brother. Since the age gap between us is 2 years 3 months, our growing up years have been all about silly fights and arguments. But now that both of us have grown up & he stays far away from home for work, it is great whenever he comes down for the weekend. The things he shares about his daily life, the advice he seeks from me, the movies we watch together, really seem to brighten up my days. It's like we aren't siblings but friends these days. Touch wood!!! I volunteer at a local hospital here (UC Davis Hospital) on most Saturday mornings. I work in the Child Life Department, where kids from infant to teenagers are admitted for mostly long-term care - patients who have suffered brain stroke, paralysis, cancer, etc. As a volunteer, I am in charge of the play room, where kids come and play with games/toys. I am also called for help (holding/feeding a baby, reading a book, playing Nintendo, etc) with patients who cannot come to the play room. EVERY SINGLE time I go volunteer, there are situations that make me BLOOM (forget my stress, worries, anxiety) AND make me SMILE. For example, there were 2 patients (Boy A and Girl B) - Boy A had an IPOD....and whenever the girl B would come to the playroom, he would ask her what songs she liked, and would play only those. She had her left side of body paralyzed (and he knew that), so he would make her paint or make stuff with play-doh using her left hand....on the other hand, he had suffered a massive brain stroke, so had problem with speech, so she would make him sing songs for her, make him tell stories to her, etc. Both of these kids are just 10-12 years of age, and they are patients who only met in the play room...but when I saw them being so supportive of each other inspite of their challenges, it really made me smile and forget my petty worries and issues with my family/friends. It made me think how you should make the best of what is given to you, and always be happy and smiling. There are many times when problems literally rain down on us...and we get no option other than rising up and bloom and be chirpy and cheerful! Around 6 years back,my late grandfather was diagnosed with lung cancer.Though initially I didn't understand much about it,(I was around 11-12),I knew he was very ill.
Just before being diagnosed,he had visited us (in Guwahati) and he stayed there for around a month.I was so excited that after so many years he actually was visiting us! He was very much interested in reading,and we didn't have much books with us.So I borrowed a "Sherlock Holmes Stories" book from my school library and insisted that grandfather should read it.When I handed him the book,he gave a strange smile,and I can't tell how happy I was when he actually was reading it just before going to sleep.I still hope he was happy during his stay there! When I was around 5-6 yrs old (Can't remember)and me,my mami and my mother were shopping near Bandra or somewhere in Mumbai (Can't remember that too).I was engrossed in watching all that was taking place around me and didn't notice that my mom had proceeded ahead to the next set of shops.When I did realise that I was lost,I ran here and there and onto the road.And then,I bumped into a foreign tourist(She looked like a tourist).And in some strange accent she said"Don't run! You'll be lost! ".And then she inquired the shopkeepers nearby by some gestures...by that time,my mom realised that I was missing and returned.I ran up to her...and when I looked back...the tourists were gone.I myself can't believe all this had happened.If that lady hadn't stopped me,I might've run off to other road and been lost forever! And when I think of it now,I have resolved that I shall,too,help strangers...unconditionally.Perhaps thats my way of saying thank you to that lady! It is almost 6 years since I have graduated from my university course and we - a the bunch of 20 something are scattered in 6 different nations excluding India. As time flies by distances grow and mails, phone calls, birthday wishes limit to just the closest ones.Probably we "bump" onto each other online, say a few hi hellos and the conversation s dry up and are never like those endless ones we used to have before. It showed here sitting on a couch and smiling at the camera, but something else in the pic caught my eye. it looked like a thermocoal sheet with loads of pics, writing, cards,and i could see some dried flowers as well. Incidently she was getting married in a week,So I called her up to wish her and asked her about it. She said"oh, thats my life-line swat,remember I dont have all of you with me,so I have made a crude collage of photos of our gang, that flower was the one u gave me during my 21 st birthday,and those notes are the ones another friend used to leave for her which read something as simple as" wake up, I am leaving to library" or "cheer up sweety, marks are not everything in life, you ll do better". I was listening to her with tears in my eyes as she said she reads these every day and smiles,and as she went on.. Somehow the distances dint matter just once..
A, you really made my day making me feel so special and close to your heart.thank you. now grown into a tree. They didn't cut it even though it was at a inconvinient location :). I always used to be sick throughout my childhood. Much like my mother who is frequently ill and everyone said I've inherited a weak immune system from her. Everytime, there was a flu in neighbourhood, I would catch it. Had been admitted twice for a weeks time. I would always be popping pills. This carried through to my college days. I would miss many attendance simply due to cough and cold. Then once I again I had to be admitted in the hospital for asthma attack and I couldn't even call my parents at that time. That was when I decided that enough is enough. I started working on my immune system with hygenic food. Stopped taking medicines at the slightest sign of cold. Moreover, every night I used to fall sick, I would promise myself that I would be well by morning. There were tough times when I had to carry running-nose and cough for 5-6 days, but I didn't resort to pills. Later, I joined Gym and then started Yoga. It's been over 7 years now since I visited a doctor or popped a pill (not even crocin). I have very good stamina now and climb 7 floors of my office without panting. I feel as agile and healthy as a 18 year old and have a well toned body now with exact weight/height prescribed ratio :). I do fall ill once in a while, but I recover relatively faster in a couple of days. Mostly, seasonal diseases simply ignore me. Initial years of abstaining from medicines were suffering, but sheer willpower made my health bloom I would say. And yes, I did have positive thoughts whenever I fell ill and smiled on each recovery. I and my girlfriend were going through (still are...) a tough time in our relationship(convincing parents...and stuff like that), and she had to move to a different city. A night before my birthday I returned home weary and tired after a terrible day at work . I was surprised when i found that the door was locked and my friends had not returned from work. 'Must be boozing', I envied them. I clicked open the door and found my girlfriend sitting on the sofa waiting for me...!!! I was dumbfounded. Although the bloom did not show on my face, my heart grew to a XXL size. She got up, hugged me and whispered, "Happy Birthday,Rohan" amidst the celebrations that had already started...We had not seen each other for 2 months before this and I was the happiest man on earth. I love her and treasure my friends. Those were very beautiful flowers on the garden..
And about the thing which made me smile.. I recently shifted house and was clearing my stuff ...i got an old letter written to me by my younger brother..
i was in 2nd year of my college and staying hostel n he was in X std.. Cool cnacerian: And you hav a delightful smile! Keep smiling! Sundari: sooooo sweeeet!!! My bro (who is younger to me) has never ever written anything even remotely like the letter your bro wrote you. I can imagine how immensely you must be treasuring it. Rohan: Wow!! What a DELIGHTFUL surprise! Fortunate you are to have each other. Touch wood and stay blessed. Swathy: wow. Amazing hoe little things can come together and form a lifeline isnt it? We all need to draw our strength from somehwere and I thin friends are a great source.Some people think it is foolish, sentimental etc. But I disagree with them. I too value such reminders. Its me: It was a nice gesture on your part to make your grandfather feel welcome.I am sure he was happy.And yes, getting lost as a child is one of the worst nightmares coming true! Shachi: Your comment was soooo moving.I felt the same way when I had visited a home where all the children had AIDS and many were in the last stages of life. Palsworld: Gift of a sibling is a wonderful gift to have. Touchwood! Nandhu:Gosh!! What a 'bloody' story! Both of them..Scares me reading itself. ani aset: Hope suces is yours. Glad to make you smile. Shatharam:Reconnecting with old friends is always great! Sometimes things are the same, but sometimes people have changed and so have circumstances. Chirpy paro: You have bonsais?! They are indeed beautiful. But sometimes I do feel sad looking at bonsais as I feel growing them is so cruel to the plant.Maybe I am wrong and silly in my thinking--but I still feel bad! Srivats: So, did you get new fishes? I didnt and dont intend to also. Ramesh:Wow! You painted a picture with your words. By the way why did you change the display pic? Suma: Oh yes--i am wih you completely on shifting bit.When are you moving? Anish: My dad too had grown mago and coconut tree. He also used to plant banana trees and guava trees. We used to have a lot of fruit from our garden. You get the hybrid variety which gives fruit on 4th year. I guess you too are talking about the same. I agree--the satisfaction is amazing! When I was young,my father & I started growing a garden,after we moved into our new house..We went to the nursery together,selected the plants we liked,planted them,watered them..n the result was oh sooo wonderful..One day a small flower bloomed..n that was the most beautiful flower I had seen till date..Red in color,furry..!! (I didnt know what type of flower wud bloom..We had selected the plant just by the curious shape of the leaves )..I let out a scream , my mother came out running,thinking I had stepped on a snake or something..LOL..! !She was mad at me for scaring her..hehee!! When I get good comments on my fotos,I bloom..:)Also my best friend..she makes me feel special abt myself..!! Btw, Satish --- I believe purvi is your soulmate too, don't ask why and how though! 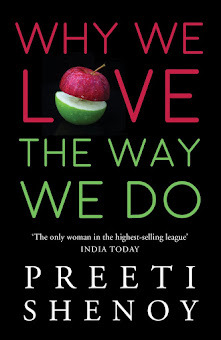 hi preeti, recently discovered ur blog. i intend to real all the posts :). i am a mother of 1 toddler, recently moed to pune from Oz. i wish i could hv met u here, its amazing how u hv ur pulse on the thoughts of urbane women :). i can so relate to ur posts! cheers, aparna. This happened yesterday and made me re-call what you wrote "It need not be in a ‘great way’. It can be something very small too" as I was thinking of my day just before falling asleep. While checking my e-mails I saw my good friend (nups) online with a message reading " yippppeee , I am happy". As we hardly meet online these days,thanks to busy work schedule,I was quite pleased and at the same time asked her what was the happy news about? I was of-course expecting some good news about job, or some gift or may be friends meet or something at this point. she just said " I am 'Happy' Happy ,No reason"
I smiled and wrote back saying 'wait' and changed my custom message to "I am Happy"
she asked me" why are you happy?" I was almost grinning ear to ear at this point and knowing nups, I thought she would be tooo..
Yipppppppppeeeeeeeeeeeeeeeeeeeeeeeee!This is sooo much fun. Thanks Preeti. I love love love your cards . I felt your gesture of giving away your selective handmade cards is a wonderful gesture to those whom you think deserve it. I guess the receiver would also be feeling quite joyous to see their names being acknowledged and also receiving a beautiful gift ! Personally, I guess more than the cards, I now feel that leaving a comment on your blog gives me a sense of satisfaction – trying to convey my views on what I feel after your reading your work. I would also like here to apologize, that I once scrapped in gmail, if I might possibly get a card. That was so silly of me. We would love to get cards from you ...They are so beautiful and special. Continue this please, i love reading your posts and this effort from you is very good. Keep going. Though i would like to get one of them soon :P. Do i get any points for this response, may be for the next contest :D?? of course... U should not stop giving cards di..it is such a wonderful gesture of appreciation.. It will make someone bloom you know!! [unless of course it is too much time consuming]..
Swatthy, Ani-Aset, Meira,Sundari :Thank you for the prompt response. Much appreciated. Nandagopan: What random basis? And how will it help me squeeze time for my book? I will still be spending the same amount of time making cards and replying to comments right? Aparnakalantri: Never been to Oz though its been on my list to visit :) Welcome to my blog. You know what? I always have this feeling,when I read your posts,that you are writing just for me..hehee!! That itself makes me happy. (Maybe everyone is feeling that way about your posts). Hope you understand how I feel. You have to continue giving out cards. Like someone said before me, it seems like a contest. And, of course, your posts are a delight to read, as always. Awaiting your post this Monday. Sooper kicked to see my name up here today :) It truly brought a wide smile on my face and made my day!!!! Preeti, you are so kind :). Thanks a lot for the card. I've acknowledged it in my latest post too. And now that I have my card, I don't care whether others get theirs or not ;). You wont believe this, this weekend my girlfriend was in Pune and we bought a copy of your book from the local Crossword and almost completly read it in one sitting.